Many markets have rules and regulations for internal operations. While rules and regulations are important for setting guidelines for vendors at the market, they cannot be used when dealing with external business partners such as municipalities, businesses, or even customers. 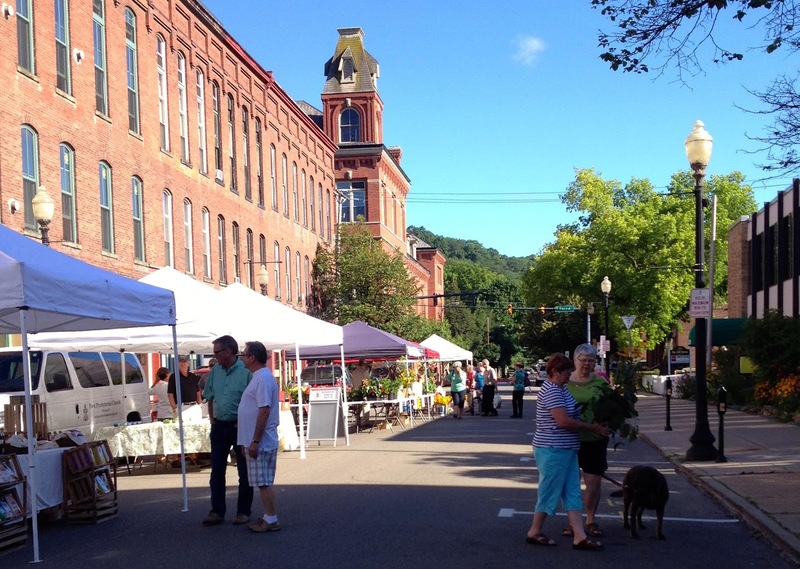 According to the Penn State Center for Agricultural and Shale Law, more and more farmers markets are becoming legally incorporated in order to function in today’s business environment. Markets have had to become incorporated to comply with municipal ordinances, such as the requirement that all special events provide a certificate of insurance should someone get injured. Markets have also had to become incorporated in order to accept Electronic Benefits Transfer (EBT) cards at the market. More and more farmers markets are becoming incorporated in order to function in today's business environment. As with any business, farmers markets can have variety of different business structures. Some markets are owned by a single individual. In a sole proprietorship structure, the vendors pay their dues to the market owner in order to participate in the market. The market owner is responsible for all market activities and is personally invested in the market’s success. If there is no sole proprietor for a market, an existing business may be willing to umbrella the market, which means they assume full ownership and responsibility for the market. In this case, the market operates under the umbrella business’ name. This is a successful model if the existing business’ mission is in line with the farmers’ market mission, such as promoting healthy eating or supporting local farmers. If there is no sole proprietor, and no organization that would like to own the market, incorporation is the only other option. If a market chooses to incorporate, they must choose a board of directors (a minimum of three people) to manage the market. Incorporation also requires bylaws and articles of incorporation to be filed with the Department of State. A lawyer should be consulted for this process. Depending on the structure that the farmers market chooses, a market may be a for-profit business or a non-profit business. Non-profit businesses have the option to file for tax exempt status with the IRS, which means that state and federal tax will not have to be paid on income or expenses. There are two types of tax exempt codes most commonly used by incorporated farmers’ markets- 501c3 and 501c4. A 501c3 organization must provide a benefit to the community such as providing education or benefiting a charitable cause. A 501c4 is an organization that is created for “social welfare”, meaning that the organization has come together for the benefit of its members. If a farmers market exists solely for the benefit of the individual vendors, and is not providing any education to the community or supporting a charitable cause, their activities reflect the activities of a 501c4. While both 501c3 and 501c4’s can accept donations to the organization, only the 501c3’s donations are tax deductible to the donor. Once the tax status has been obtained, the organization must file a 990 form-“Return of Organization Exempt from Tax” every year to declare their earnings, and they must keep meeting minutes on file. Since tax exempt organizations’ records are in view of the public, operations should be well recorded and transparent. The cost to file as a 501c3 or 501c4 is $400 if the gross receipts do not exceed $10,000 per year during the first four years of operations. If the market is a non-profit and is not generating much income (only generates a small amount of revenue from vendor dues), requesting 501c3 or 501c4 status may not be necessary. Structuring the market is becoming an obligation; however, it is not without its advantages. If the market becomes a non-profit, they are able to apply for a wide variety of grants. If the market is able to process EBT transactions, sales will increase, as will accessibility of the market goods to a larger percentage of the population. Forming a board or having a market owner could reinvigorate a market, bring in new ideas, and expand business connections in the community, all of which should lead to greater profitability for the market. 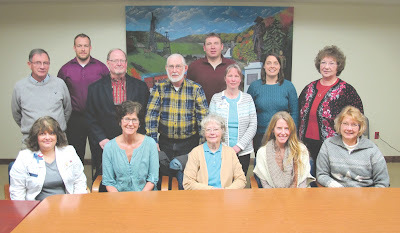 The new board of directors for the Warren County Farmers Market, Inc. There is no one size fits all structure for Farmers Markets. The circumstances affecting each market in each community are varied. For further assistance or expertise when creating your legal structure, contact the Penn State Center for Agricultural and Shale Law. It is the lawyer’s job to think of all the potential problems that might arise in your new business structure, which will relieve the legal burden from you and allow you to focus on sales. For more general information on non-profits, see my previous blog post An Agricultural Nonprofit Still Has to Make a Profit.